By any measure of success Microsoft's Windows Phone is a flop -- so far. The bitter irony for Microsoft is, it's a great phone. What's going wrong? Microsoft's Windows Phone, introduced in 2010, is a critically acclaimed mobile OS from the world’s largest software maker - a company that has a long history with mobile products. 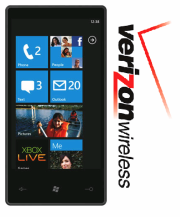 As recently as late 2009, Microsoft’s Windows Mobile platform claimed nearly 20 percent of U.S. smartphone users. But today, instead of building on that success, Microsoft has failed. During the first three months of 2012, Microsoft's Windows Phone platform owned a dismal 2 percent of the U.S. smartphone market, according to Nielsen ratings. Even Microsoft's aging Windows Mobile platform had a bigger market share than Windows Phone during that time, claiming 4.1 percent of users, Nielsen reports. Now here's the part that must drive Microsoft crazy. Many of those who have tried Windows Phone 7 handsets, such as the Nokia Lumia 710 or Lumia 900, love them. When Waterloo, Canada resident Bilal Khan found his father struggling to use an Android Samsung Galaxy SII smartphone, the younger Khan lent him his Lumia 710 instead. Khan told his father to use it for a couple hours while he went out for a workout. "When I came home two hours later, he didn't want to give it back," Khan said. And his father didn't for about a week. Finally, he returned the device to his son, but only after purchasing his own Windows Phone. Khan and his father are part of a small and devoted fan base for Windows Phone and its slick Metro UI design. Devotees note that the Windows Phone is intuitive and easy to use. Within an hour after picking it up, Khan said, his father was using advanced features such as the Nokia Play To app to connect the phone to his laptop via DLNA. Ease of use coupled with the phone's deep personalization and integration with Microsoft Office and Xbox Live have won over many. But adoption rates are anemic. Google’s Android platform, by comparison, had captured 12 percent of American smartphone subscribers about 18 months after its U.S. debut. As of late April, Android's smartphone market share is nearly 51 percent in the U.S, metrics firm Comscore recently reported. What’s wrong with Windows Phone? Analysts I spoke to say Microsoft's struggles with its Windows Phone are tied to bad timing of its launch, carrier partnerships, muddled marketing messages, and a deficit of apps compared to the iOS and Android platform. The good news for Microsoft, there are plenty of indicators suggesting Microsoft's Windows Phone platform is ready to take off. Charlie Kindel, a former Microsoft employee who ran the Windows Phone developer experience, believes a mobile OS lives and dies with the support (or the lack thereof) of wireless carriers such as AT&T, Sprint, and Verizon. Carriers claim to want a third smartphone platform to offset the power of Apple and Google but often push the iPhone and Android devices before other platforms, critics say. “Carrier support for Android grew organically in response to the iPhone,” says Ross Rubin, a principal analyst with market research firm NPD Group. When first introduced the iPhone enjoyed an exclusive sales deal with AT&T. Other carriers were quick to push Android as an alternative to the iPhone, and many still do. In 2009 and 2010 we saw Android share grow strongly first at Verizon, then Sprint and T-Mobile, Rubin says. Microsoft would introduce Windows Phone late 2010 missing the unprecedented first touchscreen-inspired smartphone consumer push by nearly two years. Today there is evidence that carriers are warming to Windows Phones. Verizon CFO Fran Shammo recently hinted the company wants this year to support Windows Phone in the same way it supported Android’s rise several years ago. If Verizon follows that path it will put its commercial muscle behind Windows Phone with widespread advertising, in-store marketing, and retail sales people recommending Microsoft-powered smartphones to customers -- just as it did with Android.